Today, little Jolene was adopted. 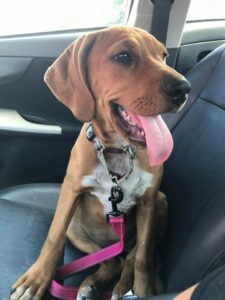 She was a mere 14 weeks old and had been with us for a month and a week. I cried and whatnot, like always. Then, when the family came and she gave the little boy kisses, and when the family picked out toys and told me all about the stuff they had already bought her so she would be happy, then my tears turned bittersweet. I knew she was going to a home that loved her. I knew she was going to a home that loved her. 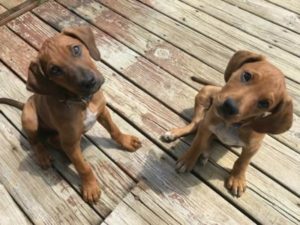 I started thinking about how sad her brother would be and the other dogs when I got home and my little gangly coonhound puppy wasn’t plodding along behind me to greet the rest of the pack. Then the tears started again. When I got home, a funny thing happened. I was reminded that dogs possess a wonderful quality—they live in the moment. They sniffed around a little and then went about their day. While they know something is different they are not consumed with sadness to the point that they can’t enjoy a day of sunbathing, sniffing out rabbits or playing in the yard. Some days, being a foster is more difficult than others, but I’m trying to learn to let go and enjoy the day like my pups. They seem so happy and content with the world. 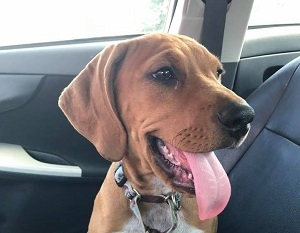 I know that little Jolene (and all my other foster babies: Max, Little Lily, Jax, Capone, Butch, Teddy, and little Jethro) is loving exploring her new home and playing with her new brother and sister, which makes the sad days worthwhile. We couldn’t do what we do without foster homes. As a volunteer-based rescue we can only rescue the amount of dogs that we have foster homes available for. I’ve only been volunteering for a year and a half now and we have helped save the life of eight dogs. 8! We’ve wanted to keep some of them but new that it would prevent us from helping save other that are waiting for their chance to get off the chain and have a loving family they deserve. Please consider opening your home to one of our dogs. You can get more information about volunteering and becoming a foster home here. 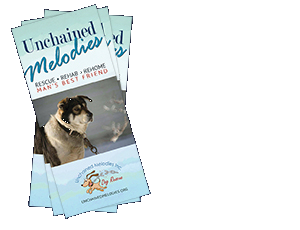 Unchained Melodies Dog Rescue provides everything you need to care for one of our rescued dogs: food, toys,a kennel, and even professional training if needed. You and your family only need to provide a safe home and love. ← It’s Hot Out There!